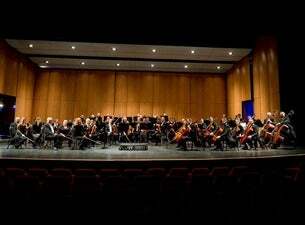 European Philharmonia is a new orchestra, founded in 2013. The aim of the founders is to bring classic music again closer to the people. Classic music is everywhere, but still it is difficult to fill the venues. The vision of artistic director and conductor Walter Proost is to bring this music that the people wanna hear and provide it with a discovery once in a while. Walter Proost is the inspiring artistic force behind the orchestra. Under his leadership European Philharmonia unites established musicians and young promising talents. Each year a repertoire is selected to place it in different theaters and the best concert halls in the Benelux. European Philharmonia is the orchestra in residence from Kursaal Ostend and has spent the past season with concerts including the Palais des Beaux Arts in Brussels, Stadsschouwburg Antwerp, Capitole Ghent and Palais 12, where they were the prestigious Gladiator movie concert's orchestra.